"In the events involving BPC, even if some issues are still not resolved, then they became less relevant: there are no conflicts or even matters of argument. However, we need to streamline the work and may be even the structure of the company." What matters of argument have been taken from the agenda related to BPC? What structural reform of the company is Lukashenka likely to contemplate? Change of jurisdiction of the Belarusian Potassium Company CJSC to Switzerland was initiated as early as last year by Uralkali, the Russian shareholder of BPC. It happened straight after division of the potassium market in Russia by merger of two of its main players, Uralkali and Silvinit. Businessman Suleyman Kerimov, currently a co-owner of Uralkali, was involved in this process. In April 2011, new top managers of the amalgamated company Uralkali-Silvinit came to a meeting with Aliaksandr Lukashenka with an idea to move the office of the special exporter of Belarusian and Russian potash fertiliser to Switzerland. The following arguments were put forward. Switzerland, due to particularities of local laws, ranks among the low-tax jurisdictions. This is why relocation of the office of BPC to another jurisdiction would allow the company to raise cheaper finding for implementation of joint investment projects. Besides, this would also help avoiding possible sanctions against Belarusian products if they are introduced (at that time, this matter was brought into focus). 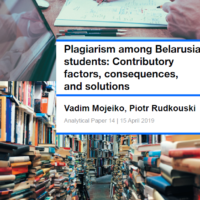 "The first integration project of Belarus and Russia"
It was not easy for the Belarusian government to decide on the change of jurisdiction of BPC. The government held a number of meetings dedicated to this topic but the matter was still under discussion and did not get unequivocal support among concerned officials. Because repartition of the Russian potassium market was carried out at the instigation of political forces in the Russian leadership, we may suppose that managers of Uralkali had recourse to these forces in order to close the chapter on the Belarusian discussion. 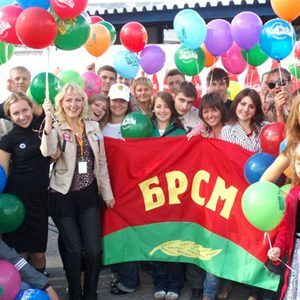 The project to create Soyuzkali – this "first real major integration project of Belarus and Russia", as it was qualified by First Deputy Prime Minister of Belarus Uladzimir Siamashka, – was brought to the highest political level. In late July 2012, First Deputy Prime Minister of Russia Igor Shuvalov and Deputy Prime Minister of Belarus Siarhiej Rumas instructed the concern Belnaftakhim and the Ministry of Industry and Trade of Russia with participation of Uralkali and Belaruskali to submit proposals regarding establishment of a joint venture Soyuzkali by 1 September 2012. Shortly thereafter, Aleksandr Lukashenka also reminded the government to resolve the issues related to the work of BPC. According to him, "there should be no more doings around this, even if we have to review our relations with the Russians". As it was said, the shareholders should either work together or go into free floating. It was evident from the beginning that none of the parties intended to break off relations. Uralkali, which declared synergetic effect of joint work with the Belarusian producer of potassium chloride in the world market, does not need it. Moreover, as most analysts say, Uralkali was bought for reselling (the timeframe of possible resale has not been announced yet), and thus the company needs only positive signals to encourage the stock price growth. Belaruskali, which does not have its own trader network, also does not need a breakup. Besides, the Belarusian party expects a particular payoff from the joint export policy with the Russian company. A year and a half ago, Aleksandr Lukashenka called unification of potassium assets in Russia "a revolution in the world potassium market", probably expecting that such "revolution" would unfailingly affect growth of the global prices on potassium. So, it was clear from the beginning that the shareholders would have to come to terms on outstanding matters regarding establishment of the successor of BPC. "Nobody speaks of a breakup. There are some peculiarities… Some people who would like to get back to "muddy water", Uladzimir Siamashka said earlier. However, despite an instruction to come to terms by 1 September the shareholders were not able to take the outstanding issues off the table at the meeting of the board of directors of the Belarusian Potassium Company on 21 August. Two key questions remained unsolved just a few days before 1 September. The first regarded the balance of sales volumes of potash fertilizer in external markets. An issue of pricing policy – elaboration of the price formula for potash fertilizer – was not fully solved. While establishing BPC, Belaruskali and Uralkali signed an agreement which provided that the export quotas would be divided among principal shareholders on the basis of their established production capacities. Initially, the share of Belaruskali amounted to 60%, and the share of Uralkali amounted to 40%. However, after the merger of Uralkali and Silvinit the maximum production capacities of Uralkali reached 12.5 million tons this year, and those of Belaruskali amount now to 10.3 million tons. The shareholders agreed that Soyuzkali would work on the same principles which were agreed at the creation of BPC: the shares of Uralkali and Belaruskali in sales would depend on the maximum production capacities of each of the companies. At the same time, they did not agree what the current ratio was and how often it should be revised. The Belarusian party deemed unfair the existing allocation of the sales volumes in BPC between Uralkali and Belaruskali: 47.5% to 52.5% in favour of the Russian shareholder. The Belarusian party would like to have 49.15%, and the Russian shareholder would have 50.85% of the sales. The outstanding issues in the establishment of Soyuzkali were discussed at a meeting of the presidium of the Council of Ministers on 30 August. Press secretary of BPC Filip Hryckou said after the meeting that "the parties came to terms on the matters of principle, disagreements were removed, and currently we work on the details of the algorithm of interaction between the Russian and Belarusian shareholders". Reportedly, the parties were not able to agree on all positions regarding the terms of establishment of Soyuzkali. The Belarusian party continues to insist on a single-channel system of sales through an exclusive trader, while Uralkali would like to maintain sales through its trader, Uralkali-Trading. 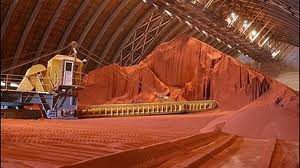 The issue of allocation of quotas for sales and export of potash fertilizer between the Belarusian and Russian founders of BPC also remained problematic. Aliaksandr Lukashenka spoke of it during his meeting with managing director of BPC Valiery Ivanou on 10 September. "In fact, the Russians themselves insisted on an independent audit of production of potash fertilizer, and we agreed that the sales of potassium would depend on this. How is this question being solved now? As far as I know, the Russians are very reluctant to agree on increasing export of the Belarusian part of potash fertiliser, and it would be legal." Will Soyuzkali be managed from Minsk? Managing director of Uralkali Vladislav Baumgertner confirmed on 11 September that all matters were not arranged conclusively, and there were outstanding issues related to shares of two companies in the sales volume of Soyuzkali as well as issues related to calculation of the average price. "But these are technical issues. They cannot remain unsolved because both Belaruskali and Uralkali are very interested in continued existence of the joint trade company". It is already known that Soyuzkali will be created on a parity basis – Uralkali and Belaruskali will each own 50% of Soyuzkali. The new trader will be registered in Switzerland. The Russian party estimates that the process of establishment of the company will take additional six to nine months. As a result, Soyuzkali may start operating in the second half of 2013. For some time, BPC and Soyuzkali will legally coexist in parallel but at a certain point of time business will be fully transferred to Soyuzkali and the contracts will be renegotiated, Vladislav Baumgertner said. "As soon as Soyuzkali starts working normally, we will leave BPC", he added. However, the question of expediency of transfer of a number of regulatory functions to a new potassium trader remains one of the most sensitive for the Belarusian government. Concerned Belarusian officials still do not have concurrent views about it. It is no coincidence that Uladzimir Siamashka pointed out repeatedly earlier that while Soyuzkali would be registered in Switzerland, the field of competence of this company would remain in Minsk. As he said, "BPC will operate in accordance with the same algorithm as before". BPC earlier also pointed out in its official commentary that "change of jurisdiction of the company does not imply in this case an actual transfer of its office from Belarus to Switzerland" – "the activities of Soyuzkali will be coordinated from Minsk, while the company gets a number of new possibilities related to preferential tax treatment as well as to access to bank credit resources". Now, there is no word about any kind of coordination of activities of Soyuzkali from Minsk. At least, neither party speaks about it. Earlier, Aliaksandr Lukashenka also said that "the potassium company should deal not only with sales of potash fertilizer but also of complex, mixed fertilizer", which is now in demand in the world market. It seems, however, that this issue is not among the Russian party's priorities. The Russian shareholder does not exclude that Soyuzkali will deal with sales of other types of fertilizer along with the potassium chloride. "If it creates additional value and gives us some synergetic effect in the context of reducing costs, it will be possible. But it is not being studied seriously yet", Vladislav Baumgertner said in this regard. This original article originally appeared in Russian on Nashe Mnenie. It is published as a part of collaborative arrangement with the Agency of Political Expertise.